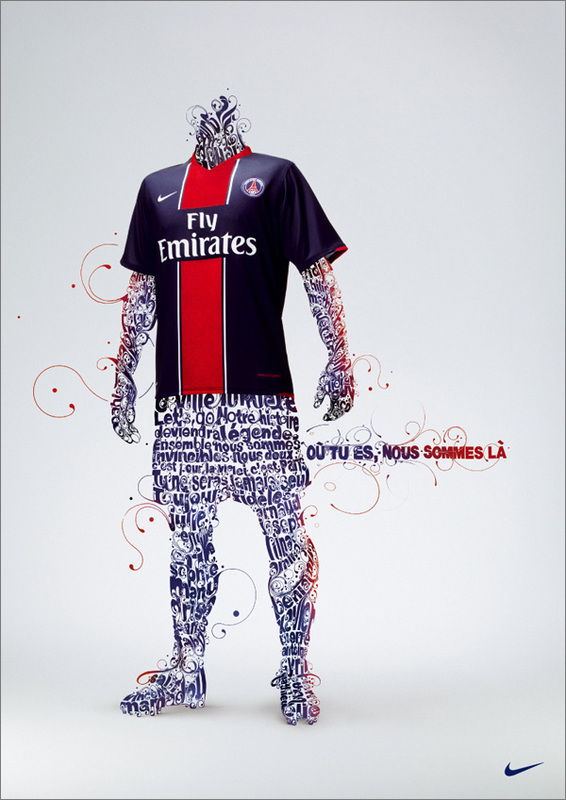 The website address of this advertisement is: http://www.frederiksamuel.com/blog/images/nike_france.jpg. This site is aimed at all the people that like football, but especially at PSG' s supporters. It's clear that young and athletic people are going to be more interested, therefore we can also say that it's aimed at a young public. This advertisement gives us the possibility of knowing the new design of the t-shirt, for example the colour or the new sponsor. Nike is the brand that offers a new style, we can compare this design with the old one. In this advert they want to show us the new equipment of the team. As well, there is a slogan for making more attractive the advert. With this ad their purpose is to expose the new model in order to convince us of buying this product. So, it contains a informative message, the new equipment is now in the shops! What catches the eye is the fact that the body is done with words of different languages that express some of the most important things in football(togheter,never alone…).In my opnion this is original, we have a football lexical, for this reason people can be more observant. The slogan is in french and it means: "where you are;we are there", I think this is also interesting because this can attract people and make them to be close to the team. I find surprising the originallity of this ad.